As he turned the car around and headed back to the Johnstone house, he reported the murder to the detachment in Hanna, requesting backup if they had it. The woman in the detachment office told him that all the officers from Youngstown and Hanna were dealing with an accident on Highway 9, but once they were done there they could send someone along. One of them was supposed to be coming anyway, with Lara leaving for the week yesterday, but obviously circumstances had delayed that. She would also put in a request for a forensics team from Calgary to be sent as soon as possible. The way the storm was going, none of them might make it, he thought. He pulled up in front of the house, stopping behind Leonard’s truck, and sat for a moment, unwilling to start this just yet. Why the hell had Lara picked this week for her vacation? The one time when he actually needed the backup, she was visiting her in-laws in BC. He put his hand to his temple as if to stave off a headache, and thought briefly about having a smoke. Lara had told him he should quit, though, and he was trying for her. That thought got him moving again up to the house. It was the standard sort of ranch house one saw in these parts, a long single-story with a basement. There was a deck extending off one side that led to a back door and porch, which was where he entered. There was a front door, but Martin knew the only people who used it didn’t get let in. The Johnstones’ dog raised its head from the mat as he took off his boots, quietly slapping its tail against the floor. There was a row of hooks filled with jackets above the mat, and Martin put his there, taking his hat off as well. Wayne stepped into the porch and gave him a thin smile. “Come on in, Martin,” he said. Martin nodded and noticed that the rubber gloves were still on his hands. He stuffed them in his pockets and followed Wayne down the hall to the kitchen, where Leonard and Diane were waiting for him in awkward silence. He smelled coffee and banana muffins. “Would you like some coffee, Martin?” Diane asked from where she was busy at the counter. She was a small, bustling presence, with short-cropped dark hair that was speckled with grey she did not bother to hide. “Please,” he said, as he sat opposite Leonard at the kitchen table. Wayne hovered between the counters and the table, unsure where he should put himself. “Put the muffins out,” Diane told him, which he did while she gave Martin his cup of coffee. “Of course,” Diane said, while the other two nodded. Martin pulled out his notebook and caught himself for a second imagining Lara’s meticulous, careful handwriting. She would be much better suited to these circumstances than he was. “Of course,” Leonard said. He was, Martin guessed, in his early forties, with narrow features, made more so by the absence of hair atop his head. His expression was one of perpetual reserve, that now was tinged with wariness. “No.” Leonard winced as he spoke, his face going a little red. Martin nodded. Did Leonard genuinely believe that, or was it one of those lies that he had chosen to accept, to make livable a situation that otherwise would not be? The latter, Martin suspected. “How come she was at the school board meeting?” Martin asked. Clarissa was their only daughter and she had gone to university the year before. “Oh yeah, yeah. Good as can be expected.” Leonard shrugged. “Not for long if Atco gets its way,” Leonard said with a grimace. Leonard shook his head. Martin drained the rest of his cup and got up to refill it. He held the pot out to Leonard, who waved him away. They went outside together into a world turned almost entirely white. The wind picking up swirled the falling snow so that it seemed to swallow everything around them. In the face of the cutting wind, both of them hunched their shoulders and ducked their heads. Martin was about to tell him not to, that he should be the one to inform Kevin and every other potential suspect, but he realized it was futile. Leonard was not asking for permission; he was telling Martin he was going to do it. People’s obligation was to each other out here, not to some constable who had been stationed here the year before and would be gone in five. “Anything we can do to help, Martin,” Diane said. He nodded his thanks and got into his car. As he let it warm up, he checked in with dispatch on the status of his backup, and was told that there had been multiple fatalities and that the highway was shut down. Of all the days for this, he thought. They’d be lucky to make it here by tomorrow, especially if the storm lasted all day. For all intents and purposes, then, he was on his own. 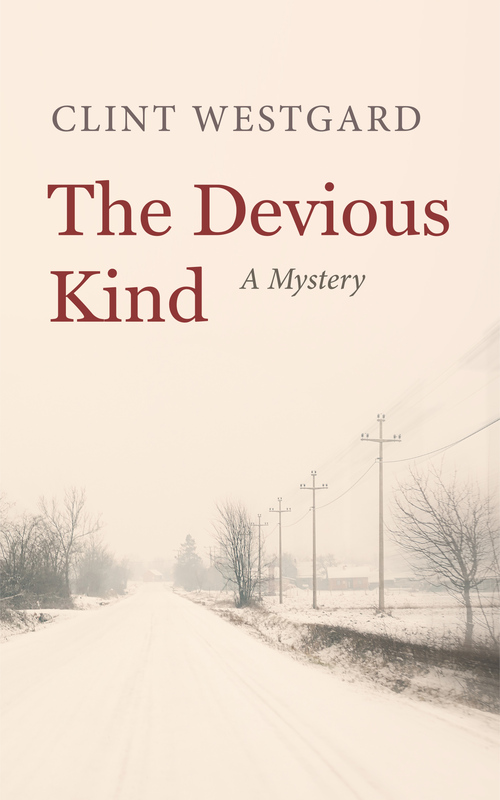 The Devious Kind is now available.